‘Tis the Season for Americans to…Give to Charity? In 2014, 31% of annual charitable giving occurred in the month of December—and 12% in the last 3 days of the year. Why? There are many potential reasons. The traditional holiday season sparks generosity and a desire to help others. Some people make last-minute donations for tax purposes. And more recently, fundraisers’ giving campaigns are in full swing this time of year, reinforcing the trend. People also may feel overindulgent with their holiday spending, and donating to charity helps to offset that feeling—hence the creation of #GivingTuesday, a day that saw donations increase 148% between 2013 and 2014. The monumental success of #GivingTuesday shows that most people are inherently generous; they just need a little reminder—or a nudge—to follow through. #GivingTuesday may be the most successful “moment” ever created for charitable causes, especially since it occurs year after year, maximizing its benefits and solidifying the creation of a culture of giving on this date. While this is a positive development in the world of philanthropy, #GivingTuesday is still just one day. What I’ve heard throughout my work in the charitable giving space is that many people wish they could be better donors on the other 364 days of the year too. Yet there are few similar “moments” tailored toward giving to remind us to donate during other months. So this year, after making your #GivingTuesday donations, here are three steps informed by our work in charitable giving that you can take to extend the day’s impact way beyond Tuesday, and set yourself up to be a generous, intentional, and informed giver all year long in 2019. You’ve likely considered how much you want to give to a friend’s online fundraiser, to a disaster relief fund, or to an organization that specifically solicits your donation through mail, email, text message, or in person. But how often do you consider the total amount you wish to donate over the course of a whole year? #GivingTuesday is the perfect time to decide how much to give in 2019. Don’t know where to start? In a survey we conducted, people thought their neighbors should give on average about 6% of their yearly salary. To make it simple, begin with that amount, and then adjust as needed to get the right dollar figure for you. Intentional: Which issues matter most to you? Once you know how much to give, the fun part can begin—deciding how to use your money and make a difference. There are many, many worthy causes out there that could use your funds to do good in myriad ways, and it’s worth taking a little time to be thoughtful about where to direct your support. Maybe you’re most passionate about protecting the environment. Perhaps you’ve experienced what it’s like to have trouble accessing health care, and you want to make sure affordable services are available to others. Or maybe you have friends and family involved in specific charitable causes, and you want to set aside a portion of your donations to support their organizations. Identify a few key areas where you’d like your dollars to make an impact. If you are looking for more specific guidance, the effective altruism movement is a good place to start. Once you decide which issues are most essential to address from your perspective, give to organizations that are doing just that. While 85% of donors say an organization’s performance is important to them, only 3% actually give based on a charity’s relative performance. And it’s understandable why: there are a lot of organizations to choose from, and researching them is a hassle. But giving more is only the first step toward increasing your impact. It’s crucial to give effectively, and that means being informed about where to give. You don’t need to conduct a literature review or write a research paper—with tools like Charity Navigator and GuideStar, you can get enough information to make an informed decision in just a few minutes. You can also check out Charity Navigator’s top 10 lists to find highly rated organizations. Also consider talking to people in your community about local organizations they donate to or have engaged with in the past. Doing some quick research now will remove one of the common barriers to giving year-round. 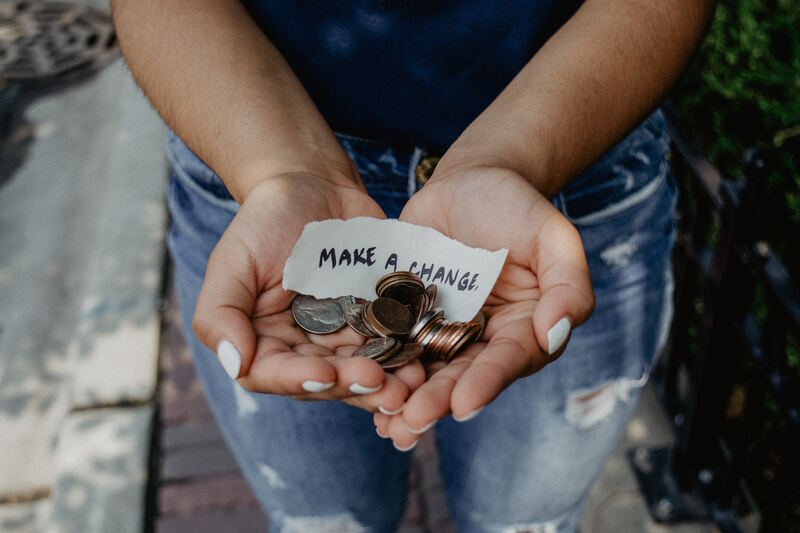 Following the steps we’ve outlined will help you maximize your impact as a giver, but if you want to take it even further, don’t wait on your giving. While well-intentioned, all the focus on #GivingTuesday and a year-end ‘giving season’ means that hard-working charities receive less funding during the other 11 months of the year. Sign up for automatic monthly donations when you can to help spread the wealth. If you’re interested in learning more about behavior and charitable giving and what we’ve uncovered, check out our report, Best of Intentions, and stay tuned for future insights from our work, with support from the Bill and Melinda Gates Foundation, aimed at helping everyday donors be more effective using innovations from behavioral science.